Let’s get the gangsteration topics out of the way first. It seems we have a fresh case of who shot at folks, who was shot/shot at and hmmm…Why? 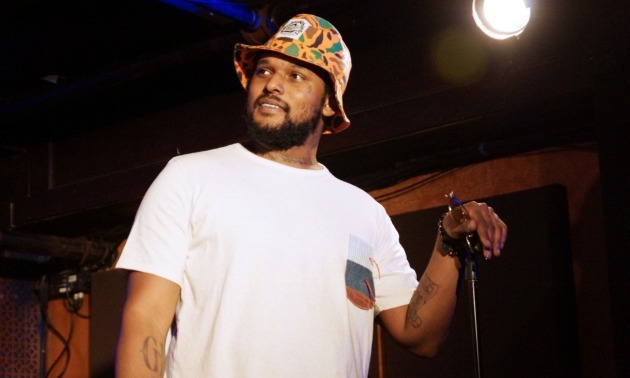 L.A. based rapper Schoolboy Q was targeted after a concert in Denver Colorado at the start of the weekend. Three people sustained non life threatening injuries but SBQ was able to avoid the shots, although his nerves had to have taken a bit of a hit. Not saying he’s a gangster (side eye) but affiliation is what it is. So the question here is, when they start gunning for you, how real are you really willing to keep it? We’ll just keep him and all those other Rap Rascal’s in our prayers as they travel to and from gigs, trying to keep the music, as well as themselves, alive. Speaking of traveling, it was recently reported that Rick Ross traveled to the Motor City for a performance and was allegedly put on brakes and ran out of town by a local “character” and a huge mob for not paying “Hood Tolls”. 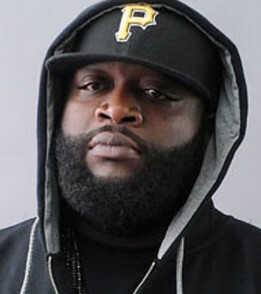 These reports are yet to be confirmed as pure fact as the girdful Mr. Ricky Rozay himself has denied the claims. According to the Boss’ version, the venue gates were “locked” so him and his MMG crew couldn’t get in, but my my, one does wonder how all the concert goers were able to gain access, or were you just that early? Was there only the one gate? And lastly, how is it even possible to lockout your headlining act??? Mysteries do abound, but hopefully everything will be cleared up at some point so that Detroit’s paying fans can get some live Maybach music in their lives. Psssttt…. Wasn’t there another incident involving Mr. Ross being targeted by a certain group with the initials GD?? Hmmm…. In less treacherous news, Chris Brown has been let out of the slammer and is in the studio preparing to drop new music on his Loyal fans. Breezy has surely had enough of the penal system and is serious about staying relevant through his artistry as opposed to his antics. Hopefully he can keep the right people around him (associates and love interests included) and make a phenomenal comeback. He seems to be pretty happy with his life right now, he’s looking better and his lady love Ms. K is sticking by his side for the time being. Let’s wish them all the best as they move forward. As for all the haters, come on y’all, can they live?? Chris may be out but apparently there’s another light skinned cutie that’s locked up and apparently thousands of moist drawered ladies are wanting to unlock his cell and set him free to roam in their secret gardens!! This blue eyed model type has caught the attention of social media and it has started quite the debate about looks, crime and the state of female sexual fantasies and desires. 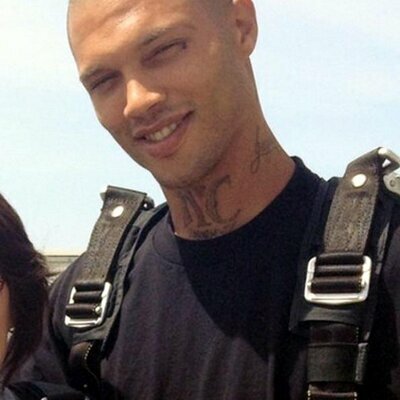 All I can say in regards to the married chisel faced Mr. Jeremy Meeks is, it don’t hurt to look, why else did God give us eyes? Lol…. 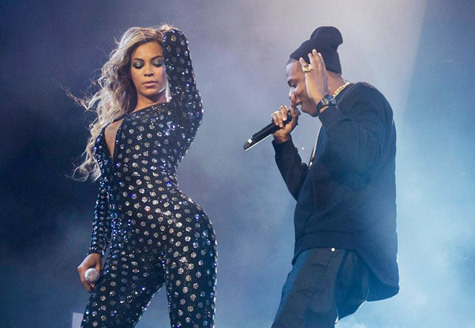 So their Royal Hip-Hopness, Queen Bey and King Jay are gonna kick- off their oh so anticipated On The Run Tour Wednesday night June 25th at the Sun Life Stadium in Miami! This stadium tour has already been slated to become the second highest grossing concert series ever! But who is even really surprised by this? Beyonce seems to be making it her trademark to break records and Hov is definitely riding the same gravy train to the “Land of Spectacular Success”, hell, they already own a vacation house there, they may as well buy a retirement compound too! Here’s to a great tour for the Carters and all their fans, we’ll be on the lookout for pictures and videos of all the epic fervor and general joyful insanity that is sure to occur from this major event! I personally am looking forward to seeing some onstage PDA between the Royals, lol! Random: Kelly Osborne having relations with Quincy Combs? ?…Yes, I admit to wanting to be a fly on That wall!! Last but not least, congratulations go out to Lil Kim on the birth of her baby girl the Princess Royal Reign, Ciara on the birth of her son Future Zahir and to Kelly Rowland on news of her pregnancy. Since the Summer Madness has officially begun it seems that civil unrest is also heating up all over in places like the Ukraine, Iraq, Syria and parts of South Africa just to name a few. The world is becoming a very unstable place so let’s be peaceful and try to be mindful of what’s really important. As we move about our daily’s, it would behoove us to remember that life is short and unpredictable, so laugh hard, love often, share your snacks and keep a change of clothes in several locations…just in case! 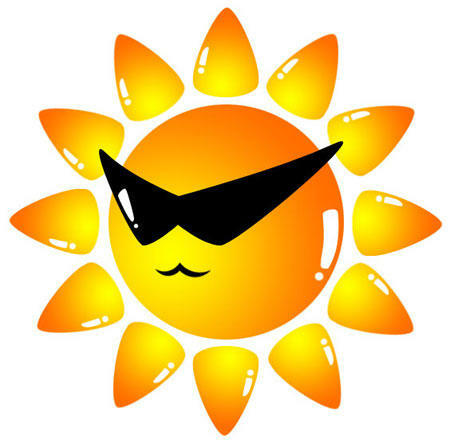 Have a great remainder of the week and may your Summer weeks be heat stroke & vomit free! 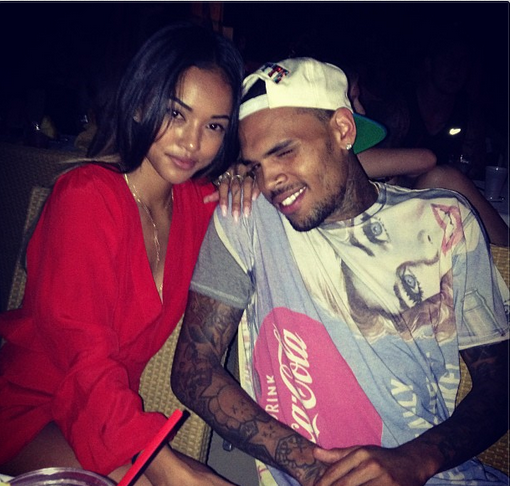 This entry was posted in EVENTS, MUSIC, NEWS and tagged Artist, Chris Brown, Concerts, Gossip, Hip-Hop, Music, News, Rick Ross, Ricky Rozay, Summer.